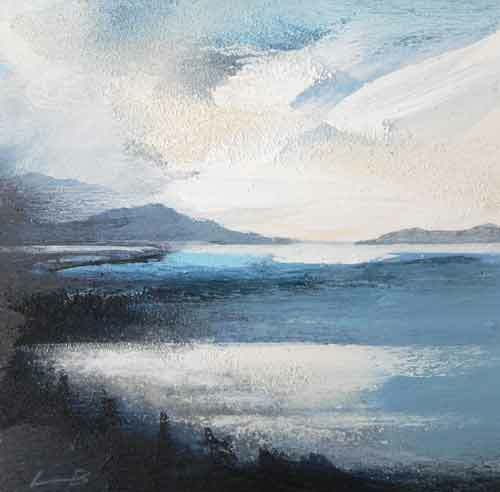 I love the dramatic effect created by the contrasting dark forground against the sparkling silver light on the sea. These twinkling patches change position rapidly with the skudding clouds above. Despite the chill there was a delicate warm glow in the sky which I wanted to capture in the painting. Actual image size 112 x 112 mm. Overall framed size 275 x 275 mm.